Few brands can boast such a monumental legacy as Motorola - one of the original forefathers and titans on the mobile scene. And it's not just the brick-like phones of the past that contribute to this special status either. You only need to turn the clock back five years or so from now to see the original Moto G at the forefront of a budget smartphone revolution. One that is continuing to this day, compelling manufacturers to constantly push the envelope on what is possible with a budget device. Of course, financial turmoils, several buyouts, management and business changes later, these historic Motorola glory days appear to be in the past. 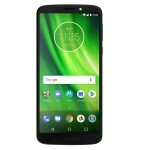 But even so, Moto lives on and so does the Moto G. Now in its sixth generation and a sprawling family of three - the G6, G6 Plus and last, but not least, the G6 Play. All that being said, at $200, the latter can't really hope for the instant recommendation, many of its predecessors got back in the day. Especially in 2018, with good quality value offers flying in left and right and seriously mounting competition from the likes of Xiaomi, Huawei and even a resurrected Nokia. However, don't do kicking the Moto G6 Play to the side quite so hastily. 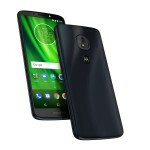 The proverbial runt in the Moto G litter still has a lot going for it, besides a legendary reputation. Lenovo managed to cram a massive 4,000 mAh battery, inside the 9mm thin handset and even throw in snappy 15W fast charging support in the mix. Just like its bigger sibling, the G6 Play has an extra-tall Max Vision display. It's even complete with rounded corners, for a truly contemporary look. All the while, the Moto G6 Play remains a lot truer to the original Moto G spirit than the rest of the family. A clean front, with no controls and only on-screen navigation and a the familiar "M" dimple on the back, make for a rather classic experience, that long-time fans of the series might actually prefer. 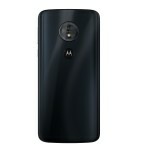 Of course, that's also complimented by the traditional Vanilla approach to Motorola's Android ROMs. Another integral and well-known part of the Moto G mix. 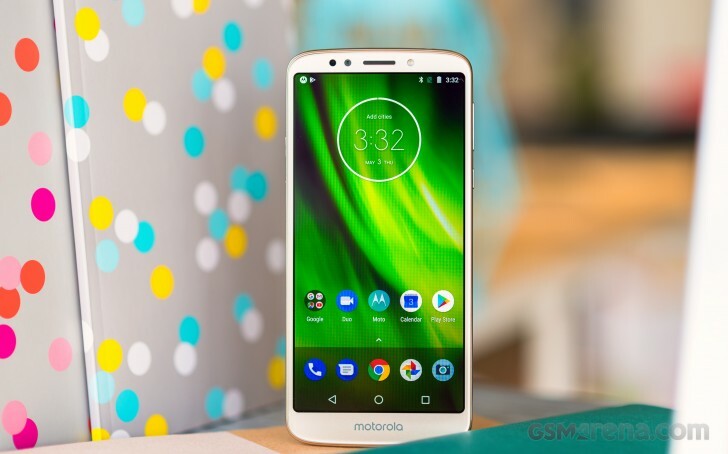 Join us on the following pages, as we explore the new, yet familiar Moto G6 Play in more detail. Just got the G6 Play, having problems with trying to switch it off. Every time I choose 'Power Off' it looks like it is switching off but then powers back up again. Any suggestions? I am i terested to know what bitrate is the video recording...256kbps or 320kbps? And what is the maximum brightness is the phone capable of? Why will someone buy this device with such low specs for such a high price and when you already know lenovo is going to destroy it with their updates.